Home	> 15. TZEIDAH LADERECH. FIRST EDITION FERRARA 1554. 15. TZEIDAH LADERECH. FIRST EDITION FERRARA 1554. 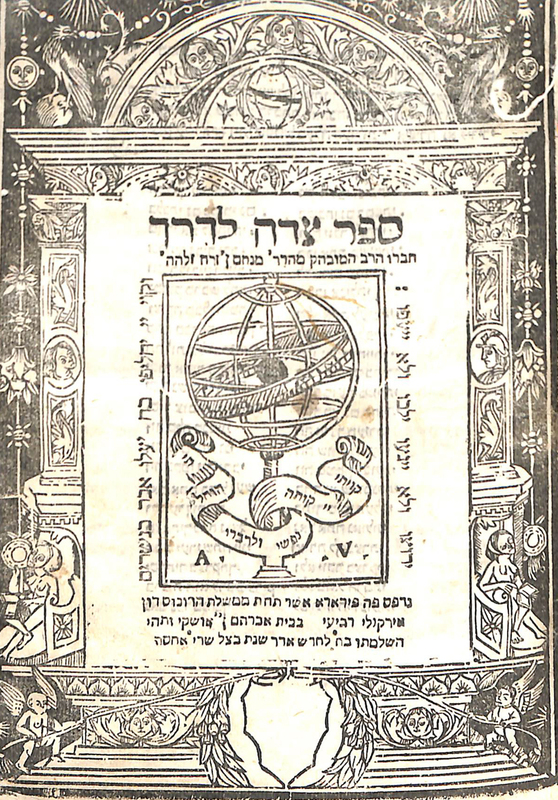 Extremely important Halachic work authored by Rabbi Menachem Ibn Zorach. Intended for those “whose daily interaction with the royal court has perhaps resulted in their becoming lax in their halachic obligations”. Lengthy introduction contains much important information about the era of the Ba’alei Tosfos. 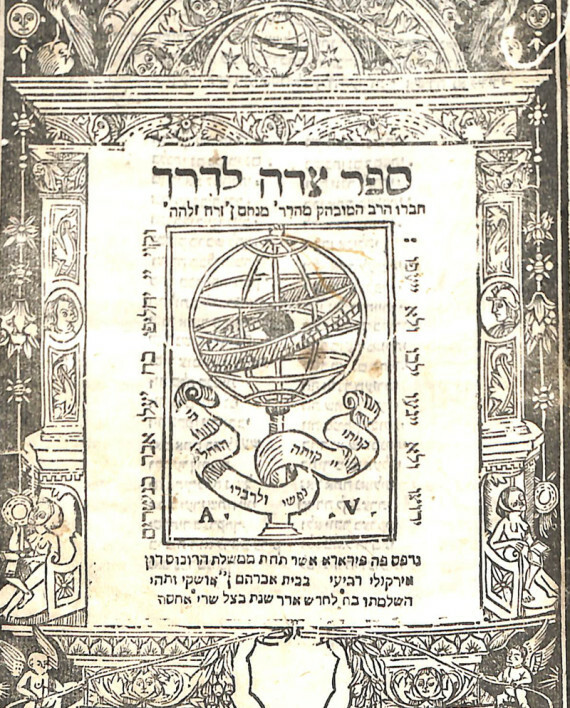 The author dedicated his sefer to Don Shmuel Abbarbenel of Seville, who rescued him during unrest in Toledo. Vinograd Ferrara 30, Abraham Ibn Isque press. Title page and final page with printers stamp displaying a globe surrounded with the various zodiac symbols. 14, 32, (3), 38-75, 213 pages. 20 cm. Modern boards. Censored edition with pages 33-37 dealing with apostates replaced with three unnumbered pages. In the third section of the book, the fifteen chapters (spanning 15 pages) of various laws pertaining to interaction with Gentiles are variously censored, in some places by an early hand crossing out various words and in numerous places with entire phrases cut out. Very fine copy, professionally restored, some staining. Modern binding.